If you’ve already sustained significant oral health issues for any reason, our skilled dentists have years of training and experience that allows them to perform a wide range of restorative treatments that will repair dental damage, leaving you with renewed oral health and a flawless smile. If you need to repair a damaged smile, contact our Bonita Springs team to schedule an appointment. At Pelican Landing Dental, we treat patients from all surrounding Southwest Florida communities. 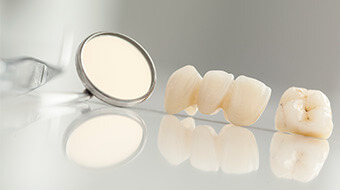 A dental crown is one of the most effective, reliable forms of dental restoration available, and our skilled team regularly uses custom crafted dental crowns in a variety of materials to repair dental damage or decay that is too advanced to be corrected with more conservative restorations like dental fillings. Dental crowns can also be used to support replacement teeth that are known as pontics. This tooth replacement prosthetic is known as a fixed bridge, and it is a natural looking and feeling way to replace one to three consecutive teeth. 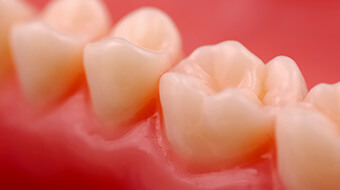 If we determine a dental crown or fixed bridge is necessary to repair your damaged smile, the process is simple. You’ll need to visit our office for two appointments. During the initial visit, we’ll prepare the tooth (or teeth), capture the bite impressions that will be used by our lab to craft your restoration, and place a temporary to protect your tooth. When we receive the final restoration from our dental lab, you’ll return to exchange your temporary for a permanent custom crown or bridge. If you have minor tooth decay or dental damage, we will likely recommend a dental filling. Traditionally, a metal amalgam was used to repair minor dental damage. We prefer to use tooth-colored fillings for a variety of reasons. The most obvious are that they look like natural tooth structure. However, they are also a more conservative solution because there is no need to remove healthy dental structure in order to provide support for the filling. The process is simple. We apply the tooth-colored composite resin directly to teeth in a putty-like state, shape it into position, and use a curing light to harden the fillings in place. If you experience more advanced tooth loss, we’ll likely recommend a partial or full denture. 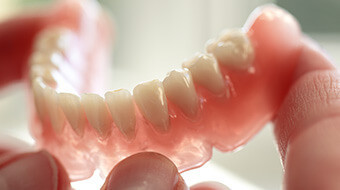 Dentures are tooth replacement prosthetics that are crafted using a gum-colored base to support the replacement teeth. A partial replaces any number of consecutive or nonconsecutive teeth along the arch by shaping the base to fit snugly between teeth. A partial denture is held in place using metal clasps connected to remaining teeth. The base of a full denture is crafted to fit snugly against the gums creating natural suction that holds the prosthetic in position. It’s always our goal to preserve natural dental structure, but there are cases where removing teeth is the best way to maintain optimal oral health. The most commonly extracted teeth are the third molars, often called wisdom teeth that are the last to erupt. Most people don’t have adequate space within the jaw line to accommodate these late erupting teeth, which can lead to dental shifting and impaction. If we need to extract a tooth, one of our skilled dentists will do so comfortably and work with you to replace teeth when necessary.